Welcome to the Eldene Primary School website. Choosing a school for your child is a very important decision and we have set up this site to provide useful information to our parents, children, governors and prospective parents. The site is growing all the time and will be updated regularly. Our school is warm and welcoming, with a calm and positive atmosphere. We provide excellent care, guidance and support for our pupils. In addition we have an exciting curriculum and high expectations for all - for those who find learning difficult as well as those with special gifts or talents. Your children’s education and their enjoyment of school are our highest priority. Please contact us if we can help you to make your child’s time with us at Eldene even more successful. Copies of any documents on the website are available if required free of charge on request. Celebration Assembly Children of the week! National 'Achievement For All' Award - this quality award recognises the work done by the school to improve progress in reading, writing and maths for all pupils. Mrs Kellett said that the whole school has worked together to make the changes that led to us receiving the national accolade. Congratulations to our new Head Boys and Girls. 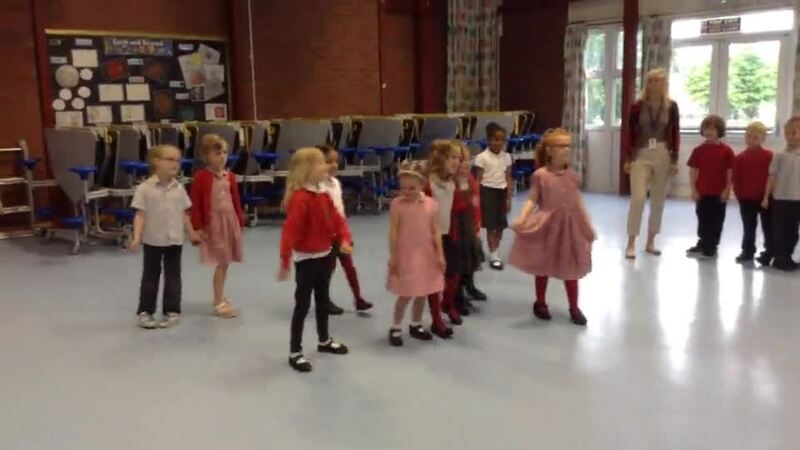 Stagecoach came to do a drama and music workshop with all of the Infant children. We had so much fun!